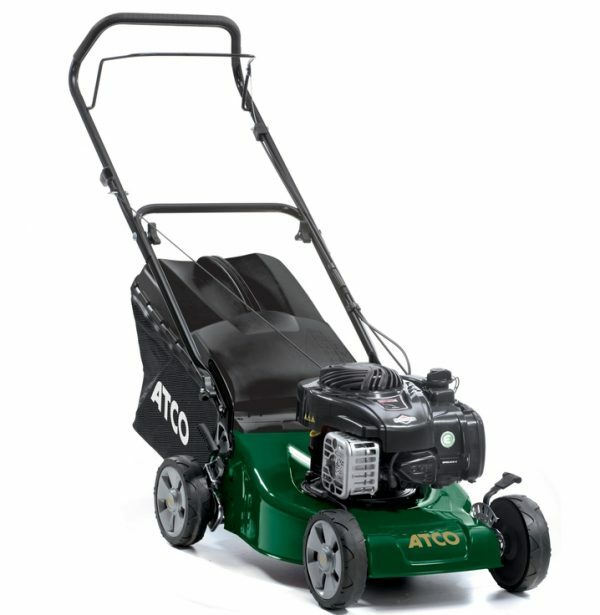 The Atco Quattro 16 is perfect for small to medium sized lawns up to approx 400m² where self propelled is not necessary. The Quattro 16 is powered by the reliable 140cc Briggs & Stratton 500E Series 4-stroke OHV engine which ensures easy starting. 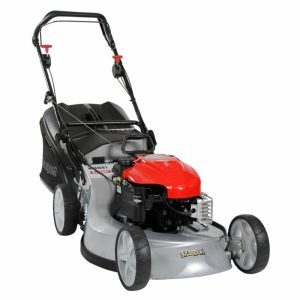 The strong pressed steel cutter deck has a 41cm (16″) cutting width. The 2 position handles offer additional operator comfort and overall the Atco Quattro 16 offers great value for money, without compromising the renowned Atco quality and finish. 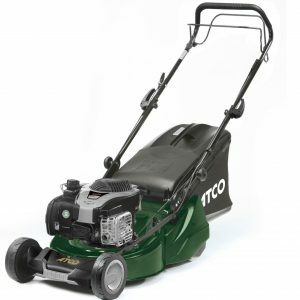 A 60 litre grass collector and 5 heights of cut from 25mm to 80mm make this mower suitable for dealing with longer grass as well as short. A mulching plug is also included enabling you to mulch the grass, saving time, money and effort. 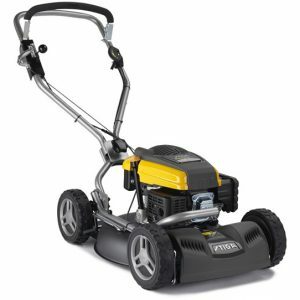 Insert this device into the discharge outlet to finely cut grass clippings into a nitrogen-rich mulch which is recycled back into the lawn as a natural fertiliser. As no grass cuttings are collected there is no need to stop to empty the grass collector, saving you around 30% of the usual time taken to cut your lawn.